No lunch, dinner or afternoon tea: this place serves only breakfast — starting in the morning, through the afternoon and into the night. The idea struck a chord with the locals: many people enjoy having an omelet or scrambled eggs at sunset. Here they say "good morning" even after dusk. Paris Continental is the most popular breakfast: an omelet with Dorblu cheese, shrimps, a croissant and pâté. 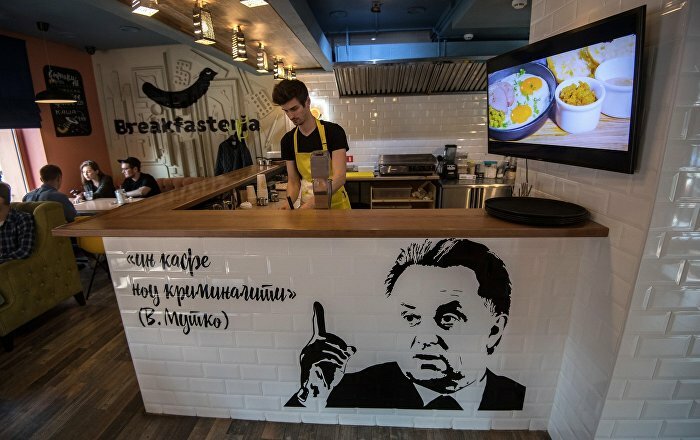 Other hits on the Breakfasts of European Capitals menu are London, Rome, Moscow and Tilimilitryamdia. Besides egg dishes, the restaurant serves delicious juicy sandwiches with farm raised pork loin and pepper sauce. Finally, there are Palchiki (Fingers): syrniki or cottage cheese patties shaped as… right, as fingers. But what kind of topping will do for Palchiki? 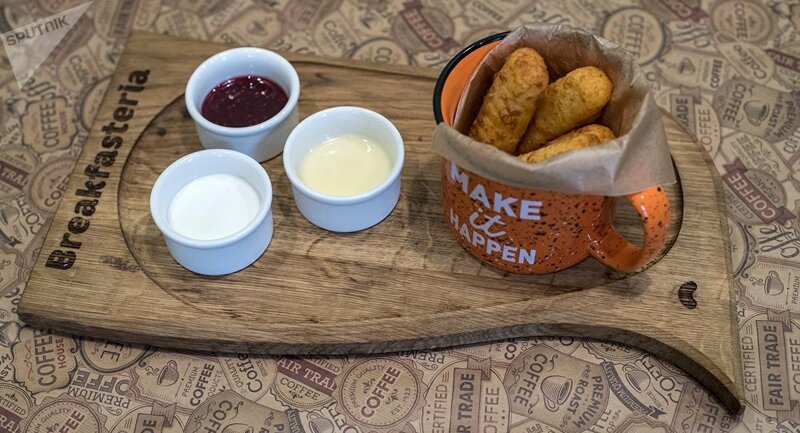 Should it be condensed milk, sour cream or jam? That really puzzled Breakfasteria. Eventually, it was decided to leave the choice of topping to the customers. A green oasis of calm amid glass and concrete on the fourth floor of a business center: the Green Cafe is engulfed in luxurious greenery. The tables and the wall paneling are from solid wood. 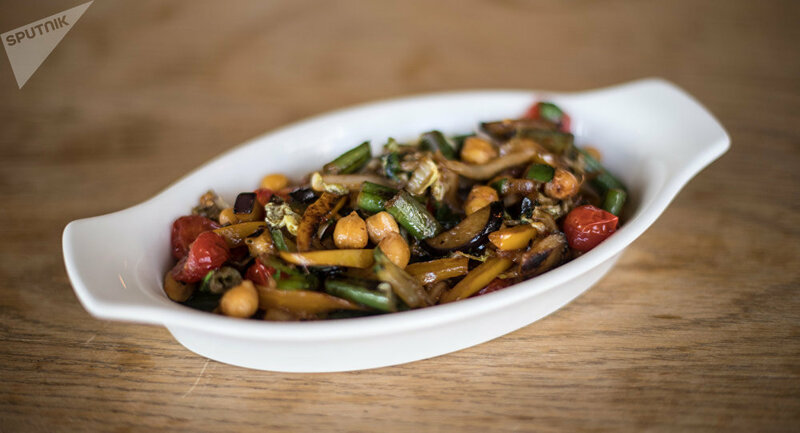 Though this is a realm of vegetarian and Indian cuisine, it also has something to offer for meat and carb lovers. Green Café's owner is enthusiastic about popularizing Indian food and culture and cares less about profit. He has travelled to India many times. In Puttaparthi, he met cook Donta Kharish. For two years, Kharish has been the head chef at Green Café. Most of the spices and ingredients used here come directly from India. Chef Kharish flies home twice a year. He brings homemade cheese from cow's milk, coconut oil and other delicacies. For those familiar with Indian culture, there is a separate dining hall with a Buddha statue, avatars and special lighting. 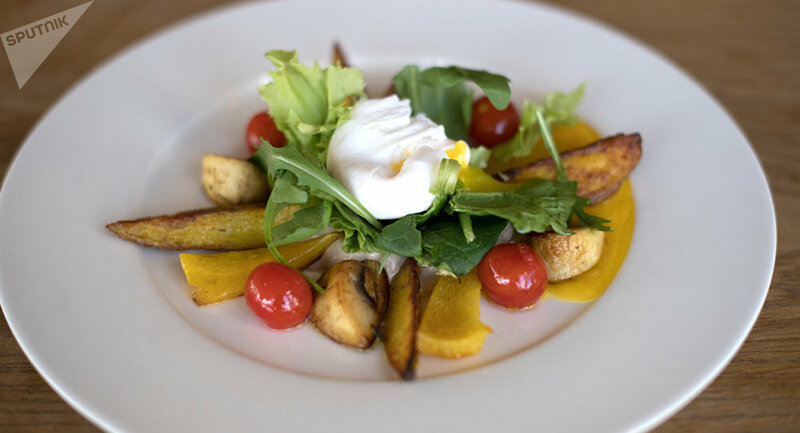 Green Cafe is an ideal place for vegetarians, vegans and raw food enthusiasts. No alcohol or carbonated drinks are served here. Some popular European dishes are also available. 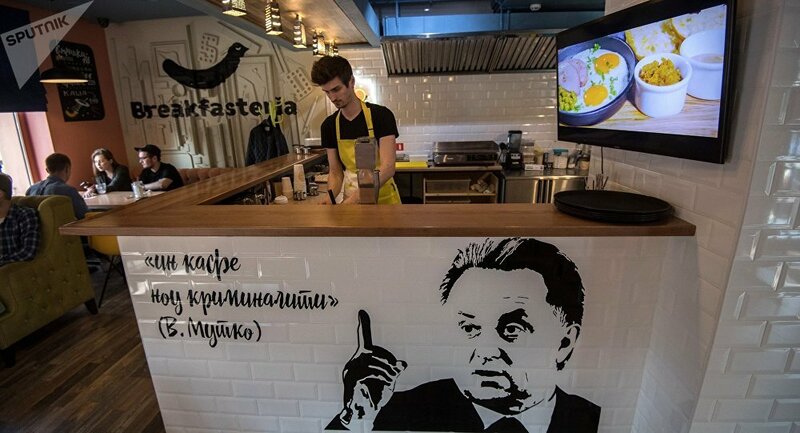 As the restaurant uses only original ingredients, it was forced to exclude pizza: Italian cheeses are under sanctions in Russia. A vegetarian burger with a green lentil patty was added instead. 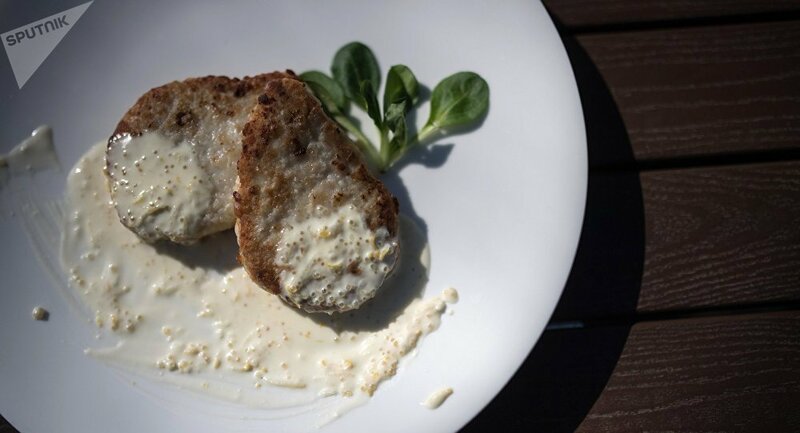 Chefs say that most customers don't realize that this is a meat-free burger. 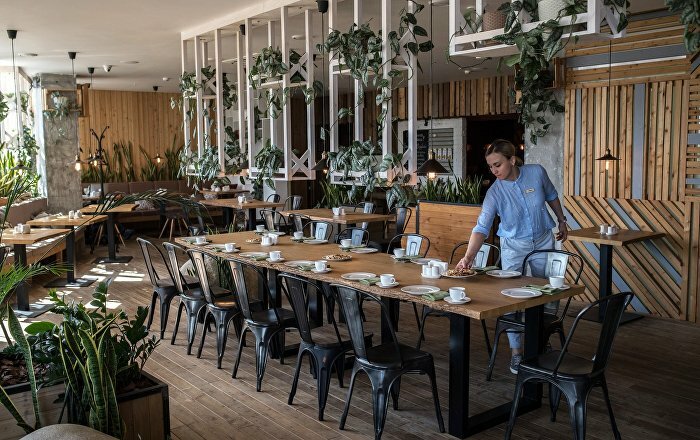 If you want traditional Russian cuisine, Rostov-Papa is the place for you. 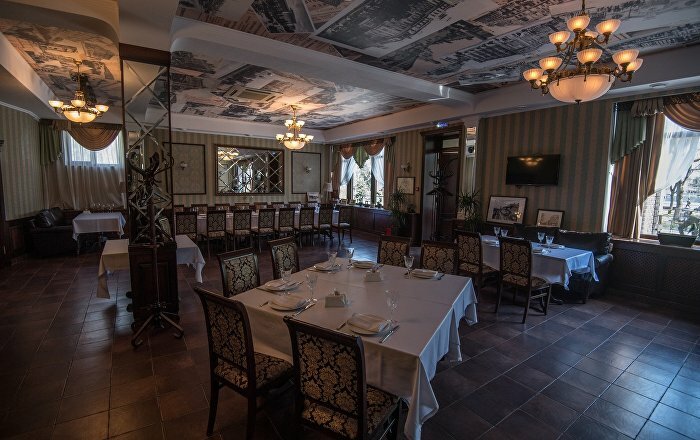 The restaurant serves real Cossack borsch made with a thick broth with veal, sautéed vegetables, bacon and garlic, as well as pike, carp, pike-perch or catfish croquettes and many other fish dishes. Needless to say, all fish comes from the Don. Russian cuisine is complemented with European dishes: cardini with salmon is among the favorites. Georgian cuisine is represented by the kharcho soup and lule kebabs. To make life easier for foreign football fans, the English version of the menu will be available and English-speaking waiters will be on hand. Rostov-Papa occupies a building in the very heart of the city. The spacious dining hall is a popular venue for weddings and birthdays, and chance guests often get drawn into the noisy festivities. By the way, the establishment accepts bitcoins. Despite a falling demand for crypto currency, bitcoins are still welcome, the restaurant's manager says.